You'll be £8.00 closer to your next £10.00 credit when you purchase Sam Quek. What's this? She rose to prominence as one of the Team GB women’s hockey team that made history by winning Olympic gold in Rio in 2016. But Sam Quek’s path to glory was far from easy. Overcoming adversity from a young age, she dreamed of competing for her country in the Olympic arena – yet saw those dreams nearly crushed when she narrowly missed out on selection for Beijing in 2008 and London in 2012. Hitting rock bottom and contemplating quitting the sport she loved, she battled back to defy the odds and become part of a success story that captivated millions of TV viewers who were on the edge of their seats as Great Britain overcame arch rivals Netherlands in a thrilling final. Since then Sam has faced her fears on I’m A Celebrity … Get Me Out Of Here and has branched out from hockey, proving herself to be a popular and authoritative voice on a range of sports from men and women's football to NFL. Outspoken, courageous and funny, Sam gives readers a unique insight into what it takes to become an elite sportsperson as she charts her remarkable journey from humble beginnings in Liverpool to Olympic gold. This was a very interesting read and a fascinating insight into the trials and tribulations of a sporting champion. Great book - really enjoyed. Takes you through Sam’s hockey career with a little about her personal life too. Even if not a hockey fan it’s an interesting overview of her drive and commitment to succeed. 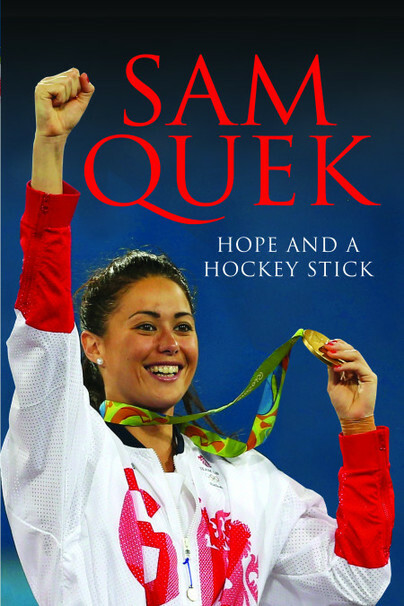 A well written account of Sam Quek's pursuit of her Olympic dream. It made me laugh in parts and brought a tear to my eye in others. Above all her brutal honesty in showing the mental and physical pressures on elite athletes is to be commended. An inspirational story. From a young age, Sam Quek has had to overcome challenges, from narrowly missing out on both the 2008 and 2012 Olympic Games to almost quitting the sport she loved. Now, after being part of Team GB's Women's hockey team that won a gold medal at the 2016 Rio Olympics, Sam releases a book about what it takes to become an elite sportsperson. I've read a lot of sports autobiographies in my time but this is up there with the best... Hugely inspiring read, which I cannot recommend enough. This book gave great insight into the life of a GB hockey player, I had no idea how much behind the scenes work went in to getting the team to the point where the Ladies won their Gold Medal... Great book and a great window into the GB hockey program and life after winning an Olympic Gold medal.